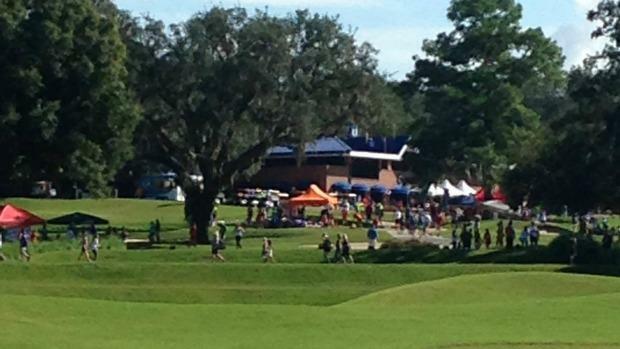 Saturday on the Mark Bostic Golf Course on the University of Florida, hot and humid conditions made the UF Mt. Dew Classic a test of wills and physiological fortitude. 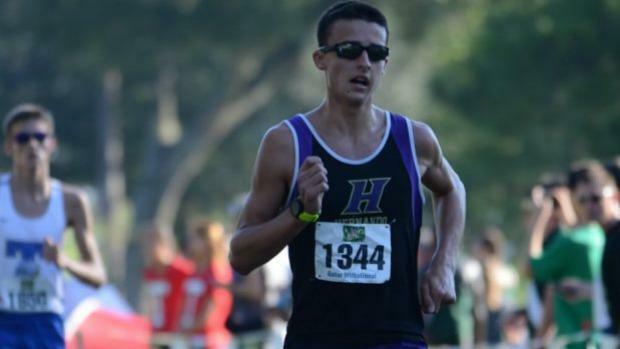 In the boy's seeded race, Hernando's Trevor Foley made the race honest by taking the lead and pressing the pace. Titusville senior Mason Jones took the bait. "I was hoping to go out a little faster, "said Jones. " But the heat and the hills took all of my energy." 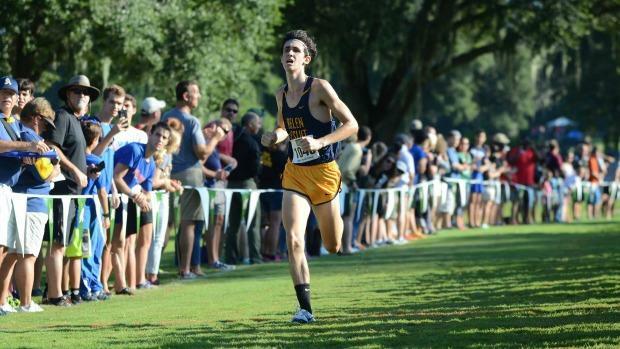 The two held the lead over Buchholz's Calum McFetridge, Lyman's Bryce Hall, Belen Jesuit's Joshua Collins, and New Smyrna Beach's Aidan Gorman. The aforementioned hills began to take their toll on the two leaders and nearing the two mile, McFetridge made his move. "He followed my race instructions to the T," said Buchholz Head Coach Ron Norris who told McFetridge to stay with lead pack through two miles and then accelerate." He was 10:07 at the two mile. I told him that is when the race starts. I told him to make sure he had something in the tank when he came down the homestretch." McFetridge began to roll, eating up the soft turf with every stride in his hometown with a big "W" to end his senior year in his grasp. Collins was the only one to match McFetridge's pace and was five seconds back at the two and half mile mark and looking good too. "We were trying to go fast for the first mile, but I kinda of held back and wanted to play it right," said Collins. McFetridge looked well on his way to victory and a new personal best, but then things got dicey. "I was feeling great until that last 800. Closing in on the 400, I felt something happened and ran out of energy, "said McFetridge. With the finish line in sight, McFetridge began to struggle and eventually collapsed. "With 400 to 500 meters to go, I felt something coming on," said McFetridge. When queried on his prerace preparation, he said. "I did the regular. I ate pretty healthy. Yesterday was good stuff- carbohydrate dinner. This morning, a regular toast, banana and peanut butter. Just normal stuff." For Norris, it was one of the tougher things he's had to see in his 42 years of coaching. "He looked fine. He was running the race of his life," said Norris who is in his last year of coaching. "When stuff like this happens, you just wonder what you can do to prevent it. It was brutally hot. It's one of those things that we have to figure out. As a coach, you feel like it's yourself running, it's me collapsing. I'm beside myself. I hope he gets better and this is behind him." Collins noticed McFetridge having difficulties. "I saw his form go really bad coming around the corner, "he said. Collins passed McFetridge to take the win raising his arms in victory. "He ran a great race. I congratulated him for fighting all the way through." For Collins, it was the third time in a row he has PRed. His winning time of 15:44.76 bettering the times he set earlier in the season in similar conditions. "The victory was unexpected at first. I thought I would finish third but I pushed it the last mile and felt good. It's a great course. I always PR when I come here. It's awesome, " he said. Jones fought gamely after being passed to finish second in 15:57.46. "I knew they were going to catch up to me and I just held on for as long as I could," said Jones who now turns his sights on flrunners.com Invitational and FSU Pre State Meet. "Hopefully, it will be a little cooler there. I'm looking forward to those races." In the team race, Collins first place and the Wolverine's 2-5 runners finishing in the top 50 was enough to turn back 4A #1 St. Thomas Aquinas for the title- 115-139. It was the third straight victory and their fifth in the last six years (in 2013 they did not compete). On the girl's side, the outcome was decided early and decisively. Melbourne Central Catholic's Amanda Beach built and extended her lead from the gun to win easily in a time of 18:28.80- 26 seconds better than North Marion's Leigha Torino. "I tried to get out fast. 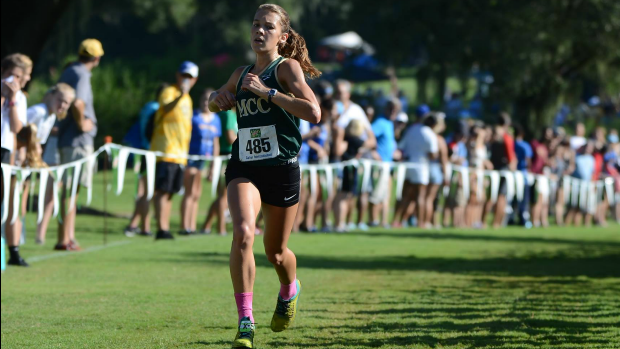 I like to lead," said Beach who is one of three Florida high school girls to dip under the 18 minute barrier this year. Unlike McFetridge and some of the other runners who had difficulty in the hot and humid conditions, Beach didn't have any issues. "I train after school so I'm used to it," she said. Beach broke out last year during the track season and has been working towards being the best since her ninth grade year. "I love running and love the sport," she said. "My goal is to win as much as I can and get some good times and enjoy it. " Beach's improvements have drawn the attention of in state schools FSU and UF which are the ones she is considering with a November early decision most likely. She also cited the Rio Olympics and Shalane Flanagan as inspiration she used this summer for her training. "It was really fun watching," said Beach. "The marathon was really fun to watch for me. " Next week, she'll run the small school race on Friday as she plans to take the SAT Saturday morning. 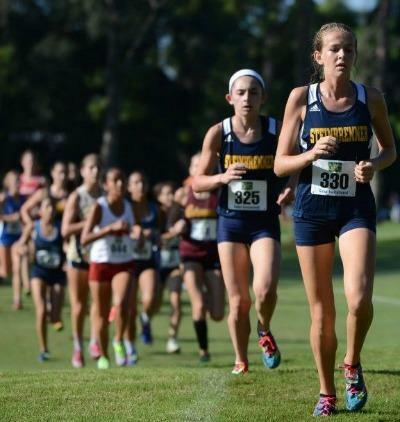 In the girl's team battle, #2 Class 4A Steinbrenner crushed #3 Class 4A Plant- 65-167- to take the team title. The Warriors 50 second spread between 1-5 was the deciding factor. "We went out a little slower. I was worried about the heat and the big field and the kids going out really fast," said Head Coach Ladd Baldwin. "We were probably 30 through 50th place early in the race." The Warriors tactics worked as their top five moved up to take 10th, 16th, 18th, 22nd and 29th. Baldwin credited his five nine mile runs during the season for the girls' strength late in races. "We have done more mileage the last two years," he said of his team who returns all from last year's 12th place team. This summer the Warriors were at the same camp as Winter Park. Baldwin and Winter Park Coach Kristin McWilliams both hail from the Tampa area so the teams had a chance to interact. "Kristin and I were talking and the girls asked 'Coach, do you know her?'" he said. " I said 'yes,' that is the two time state champions and that is who we have to beat. " The two teams played volleyball and basketball and ran some workouts together during their stint. The Warriors will get their chance to see how they stack up at the FSU PreState Invitational.